Adopt a single, comprehensive platform for all your ERP and MES operations. Not all cloud providers are the same. Discover what separates the pretenders from the contenders and why the differences can have a big impact on the value you receive. With the Plex Manufacturing Cloud, you get enterprise-class security at a low, predictable cost. You can trust that your data is safe—monitoring users and activity across your entire enterprise from a single location. Never worry again about your database capacity, user license needs or how much storage or computing power you’ll need. The Plex Manufacturing Cloud is infinitely scalable — expanding as needed while you let Plex handle the IT infrastructure. Plex guarantees 99.9% uptime — meeting or exceeding the service levels of the internal IT departments at most organizations. Plex ERP technologies are built from the shop floor up to take maximum advantage of cloud computing. Plex is designed to deliver true end-to-end visibility across your entire organization. Quality management, inventory control, and production management are built-in modules—not add-ons so users get an seamless experiences. Plex also handles your full front-office functions such as supply chain planning, human capital management, supplier management, and financials. We wouldn’t expect you to let just anyone run your ERP and shop floor operations. Plex has a decade of deep manufacturing and cloud ERP MES expertise that you can trust. Plex maintains our own data centers to make sure we can guarantee the level of support and responsiveness you expect and deserve. Close monitoring of all operations provides proactive error detection and correction as well as continuous performance tuning. Because the Plex Manufacturing Cloud is built as a native cloud application set, security is built in, not an afterthought. With Plex, service availability is guaranteed — at 99.9%. Our multi-tenant model supports seamless scalability, eliminates upgrades and allows for continuous innovation — all without added cost or disruption. And all of this is available to you at an affordable cost, with little or no capital expense up front. The Plex SaaS manufacturing platform collects granular information from your shop floor at each manufacturing moment, and Plex Insight analytics provides powerful manufacturing intelligence to allow you to use that data to make faster, more informed business decisions. Plex’s system integration uniquely ties together people, technologies, and machines to provide a complete and connected view of your manufacturing business. 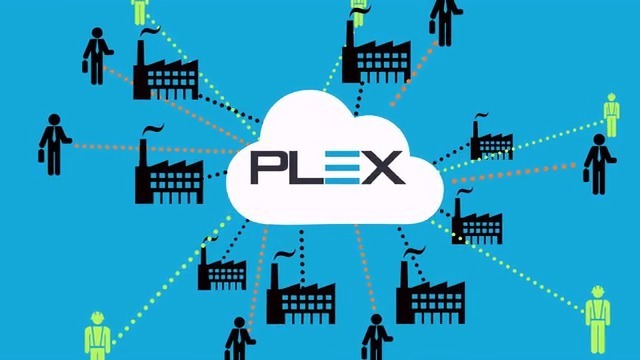 Plex Mobility improves manufacturing intelligence and efficiency, empowering individuals to collect and share data on the move, accessing connected information from across the enterprise. Connect with other Plex users of our ERP technologies to share ideas, get questions answered and discover information to help you solve problems and deploy best practices. LNS Research shows how manufacturers can select the correct metrics approach that aligns with their business processes to drive optimized improvement efforts. Many vendors claim to offer cloud-based ERP technologies but are really just remotely serving legacy applications that fail to deliver true cloud benefits. Find out about the SaaS model and the short-term and long-term benefits SaaS ERP offers to manufacturers.